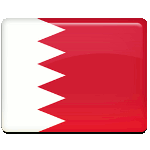 National Day is celebrated in Bahrain every year on December 16. This public holiday was established to celebrate the accession of Isa bin Salman Al Khalifa, the first Emir of Bahrain, on December 16, 1961. Bahrain became a protectorate of the United Kingdom in the 1800s. The British protectorate lasted for more than a century. The country declared its independence only in August 1971, and Isa bin Salman Al Khalifa played a major role in it. Khalifa was one of the most respected rulers and his 38-year rule saw the economic transformation of Bahrain into a modern nation. The country became a key financial center in the Persian Gulf. National Day is one of the most important holidays in Bahrain, that is why the government organizes spectacular shows. People enjoy watching fireworks and laser shows, that illuminate the sky in the evening. Free acrobatic, magic performances and other numerous and interesting events are also organized to entertain people.